Urban Thinker » Open Cities 29 Too Much Openness? How open is good open? The premise of Open Cities is that openness is offering a better quality of life, ideally to all those who live, work and play in the city. In the light of so many closures, so much existing spatial segregation in cities, this premise seems a worthy aspiration. The British Council Open Cities initiatives has undoubtedly inspired cities to relax their frontiers, to welcome ‘the other’ throughout their places, and to share spatial resources more widely. Are there circumstances though when complete openness may produce unwarranted effects? And who should be the judge of that? 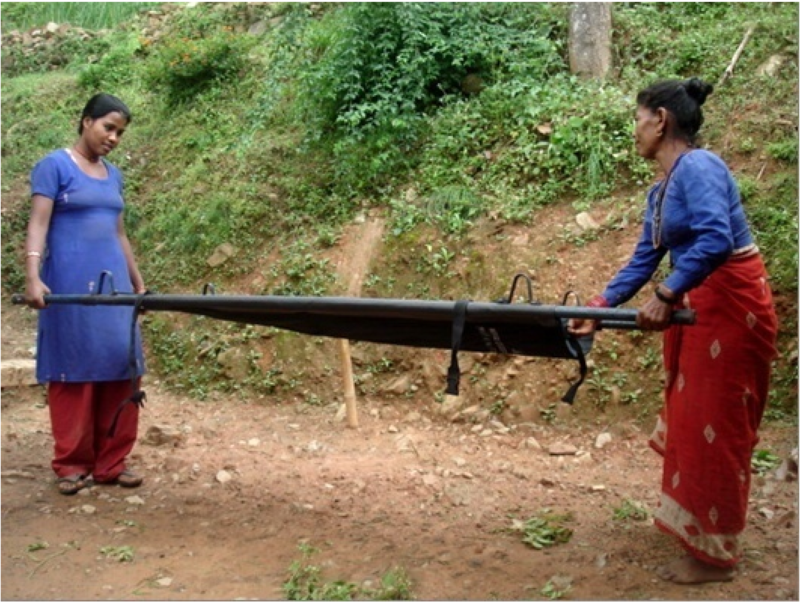 Examples presented at an event jointly sponsored by the WTS (Advancing Women in Transportation) http://www.wtslondon.org/home/default.asp, IFRTS (International Forum for Rural Transport and Development) http://www.ifrtd.org/en/index.php and Space Syntax http://www.spacesyntax.com/ gave rise to a discussion on such questions. Organising transport in the most remote, most deprived areas is a challenge. 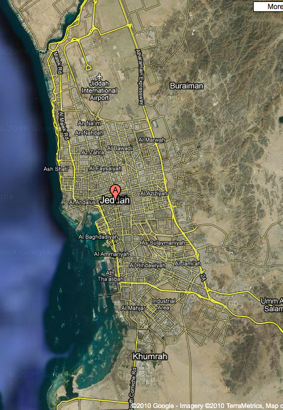 Examples were given of means to bring pregnant woman to places where they could obtain assistance. Feasible solutions emanated from within, from those in need, together with bottom up help from outside agencies to get started. These initiatives take place at the other end of the spectrum of UN resolutions on mobility as a human right. Clearly, relieving local communities from their isolation with better connections to provide them with real life openness onto the wider world contributes to their betterment. What remains an unresolved question is what effects flows in the opposite direction might have on their culture, lifestyle and health. The issue of unforeseen impacts was raised as regards rural situations, but the same contradictory effects can happen in urban conditions. Jeddah, an ancient fishing village grew rapidly into an important port on the Red Sea, second commercial centre in the Middle East after Dubai with a cosmopolitan population of more than three and a half million growing continuously. 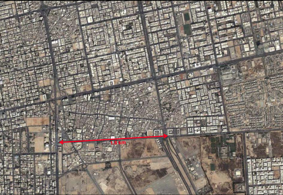 This process led to large informal settlements throughout the city and on its periphery. 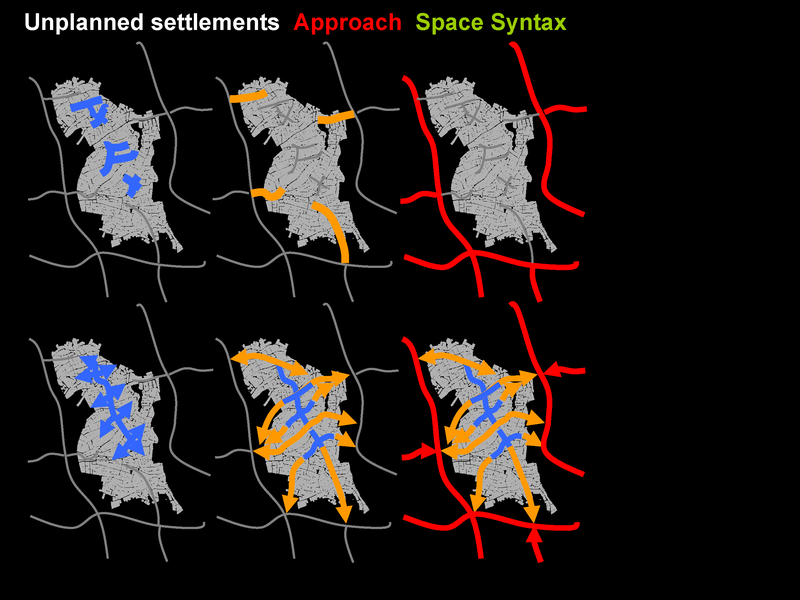 Space Syntax was asked to devise strategies for the restructuring of the city into a better coherent whole. 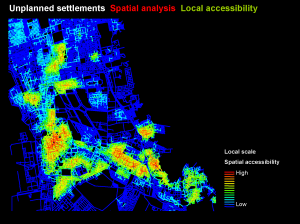 Space syntax proposed scenarios for one of the informal settlements near the city centre. They illustrate what options the city has to regenerate these areas to the advantage of the local community, as well as the city as a whole. 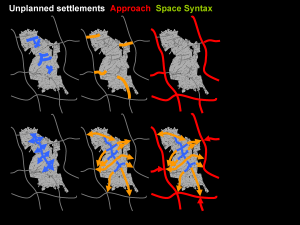 Spatial proposals include a better connection between this isolated unplanned settlement with its surroundings, thus alleviating barriers to social cohesion. The internal restructuring improves sanitation, public realm and quality of the physical fabric, while respecting the socio- cultural structure and improving the economic opportunities of such areas of immigration. 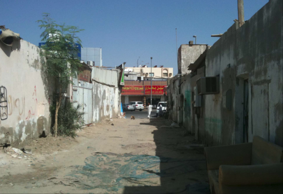 At present, this area, like many others in Jeddah, constitutes a microcosm of complex internal interactions which may have positive effects on the community overall. Only implementation of the new spatial arrangement will reveal the practical effects of removing the barriers which currently isolate these quarters. Revitalising this urban area with the best intentions to preserve the essence of its character may be too overpowering for the frail internal balance of this organic, self made, and self-regulated part of the city. In both the remote rural circumstances and the fast growing urban settings openness as such may not be the expected blessing. It may well improve the material living conditions of these neighbourhoods and present them with better opportunities of jobs in the city at large but they may lose the internal cohesion, mutual aid and trust, as well as the cultural ties which constitute their communal identity. Conversely, some protective measures may be necessary to enable the local community to adapt gradually to greater urban integration. Timing of change may be of the essence and it would have to involve the active participation of the existing inhabitants. It would be up to them to conceive what openness is good for them and at what pace they would wish to acquire it.